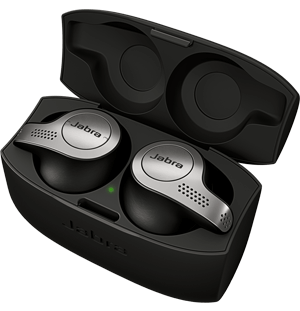 Lowell, MA – August 17, 2016 – Jabra©, a global manufacturer of intelligent audio solutions, today announced a strategic partnership with TrainerMD®, the first HIPAA compliant software collaboration platform for patients, physicians and trainers. As a result of the partnership, physicians and trainers will, for the first time, provide a wearable device as part of a medical prescription to help patients manage fitness and nutrition. An integral part of TrainerMD’s 360˚ Health Program, enrolled patients will use the Jabra© Sport Pulse© wireless earbuds while exercising. The world’s first headphones with automatic fitness testing and in-ear heart rate monitoring, the Jabra Sport Pulse headphones will stream critical workout data, including heart rate, calories and pace, to a secure TrainerMD dashboard. Each patient’s medical team, including physicians, trainers and nurses, will receive real-time notifications on the patient’s exercise patterns and vitals, which they can then incorporate into their ongoing health management recommendations. Complementing these innovative technologies, TrainerMD subscribers will also have the opportunity to attend two physician/trainer directed group support workshops each month. TrainerMD members receive nutrition and fitness education, coaching, rewards and accountability to help keep them engaged and highly motivated while achieving their personal goals. A dream team of medical, nutrition, fitness and technology experts will guide members through each phase of their program. The 360˚ Health Program is currently in pre-enrollment phase and will officially launch Fall 2016. Interested physicians, trainers and patients can get more information here: http://www.trainer.md. *Editor’s Note: Scott Lutch is a cardiologist with South Shore Internal Medicine in Milton, MA. TrainerMD® is a medical software company focused on helping medical, fitness and corporate clients manage and market physician directed preventative health programs. It supports its clients online with leading edge, HIPAA compliant, Health Management Dashboard and enables the patient, physician, trainer, other providers and administrators, to manage multiple real-time data streams, feedback and support. TrainerMD® supports clients on site with ongoing physician/trainer directed group fitness and nutrition education, coaching, fitness testing and vitals documentation. 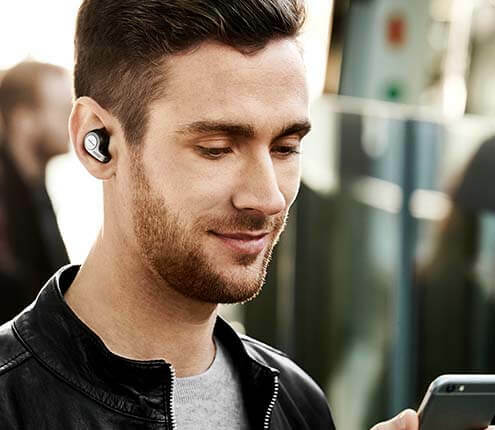 Its programs come with Jabra© Sport Pulse® Wireless Earbuds, enabling automatic fitness testing and in-ear heart rate monitoring, providing medical grade heart monitor. This device has a built in fitness application, plays music and monitors real-time clinical heart rate data. Members will use this device to help them stay active, exercise safely and stay connected to their healthcare providers. TrainerMD® is developed and operated by YC Wellness, Inc. (“YCM”). YCW is not a licensed medical care provider or facility and it has no expertise in diagnosing, examining, or treating medical conditions of any kind, or in determining the effect of any specific exercise or nutritional program on any medical condition. The TrainerMD® platform should not be used without clearance from your healthcare provider first. As with any physical exercise or nutrition program, there may be risks associated with participating in the TrainerMD® platform and you knowingly and voluntarily assume all risks associated with the program. While the testimonials included in its documents are real, results may vary for others and there are no guarantees or warranties proved by YCW.